Changes have recently been made to the building act, after earthquake claims have been lodged. Read the amendment here. Below is a screenshot of some important changes (click image to view larger). The conclusion we can take from this is that no liability is provided unless you have a standard or commercial building consent. The suggested approach, if your repair is subject to a low-risk building consent, or a simple residential building consent is to insist on inspections on all work, insist on a signed contract for the work, and insist all work is detailed and warranties are signed. 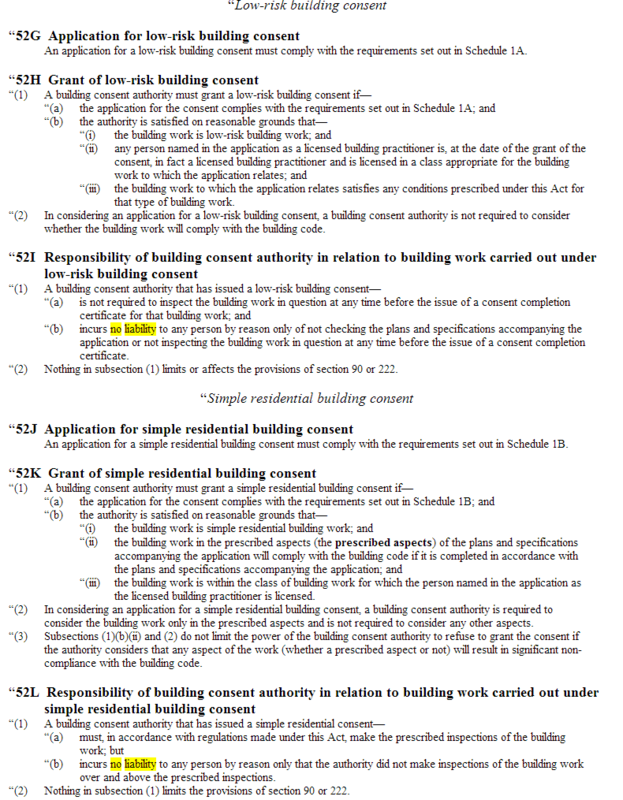 This entry was posted in Legislation and tagged Building act, Building consents. Bookmark the permalink.